The World Darts Championship has been as exciting as ever in its early stages, with tensions running high and shock results occurring, such as Richie Burnett’s win over Mark Webster. Saturday sees the first full day of action take place, and there are plenty of interesting ties to look forward to in both the afternoon and evening sessions. Dutchman Klaassen is the youngest player to ever win the World Championship, triumphing in 2006 aged just 21. He kicks off the afternoon session against Peter Wright, aiming to embark upon a similar run as he did five years ago. Still only 27, his performances have been less impressive in the tournament since his shock victory, but he reached the latter stages of several tournaments in 2010, and can beat Scotsman Wright at generous odds here. 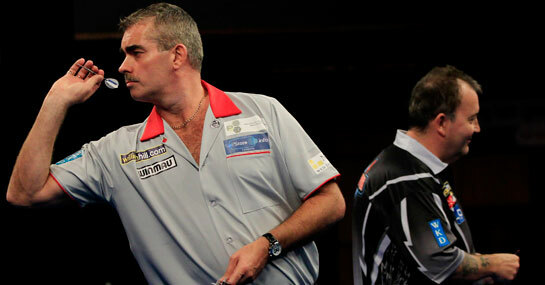 Beaton won his only World Championship as a BDO player back in 1996, but ‘The Bronzed Adonis’ is now a regular on the PDC circuit, and was impressive in qualifying for the second round of the Players’ Championship this year. He has big game experience and should be able to see off Swede Magnus Caris, despite Caris’ decent run in the Grand Slam Wildcard Qualifier. Van der Voort was highly impressive in reaching the quarter-finals of the World Championship last year, and will be hoping to do even better this time round. The Dutchman has claimed a UK Open Qualifier title this year, beating compatriot Raymond van Barneveld, and a tie against relative rookie Mark Hylton, who only turned pro in 2010, will pose no fears for him.